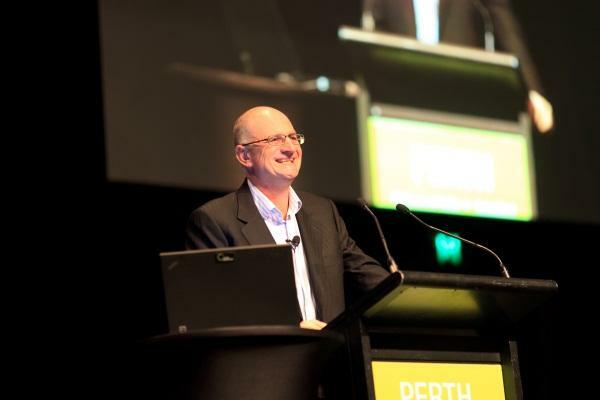 Data#3 has drawn more than 1300 people to the fourth year of its JuiceIT series of roadshows, this year held in Adelaide, Perth and Brisbane. JuiceIT is a data forum designed for customers to get the latest insight and information from 27 global and local Data#3 technology partners, including inaugural Diamond Sponsors HP and Intel. Data #3 managing director, John Grant, said the number of attendees was a substantial increase from previous years but is not a valid comparison as the event runs across different cities each year. Headling the event were Grant, and the host of the ABC’s New Inventors, James O’Loghlin, who both presented keynote addresses. A company spokesperson said the overarching theme of Innovation driving productivity, highlighted by both keynotes, underlined Data#3’s commitment to enhance customer outcomes and expose how productivity growth can be achieved. "We had technologies showcased following the theme, from desktop computing, the tablet environment, the laptop environment all the way to the datacentre and into the Cloud," Grant said. As part of next year's event, he anticipates trends surrounding mobility as a service, optimising the user experience and productivity at the desktop, although he intends to wait out the year and access trends before confirming on a theme. The agenda boasted more than 30 sessions, including in-depth presentations from Data#3’s Solution Specialists and technology partner experts who covered topics such as Cloud computing, collaboration, mobility and the end-user computing revolution. The Customer Immersion Experience ran parallel to JuiceIT offering delegates the opportunity for a hands-on encounter with the latest technologies. Data #3 has not yet committed to the plans of next year's event, but will soon be in talks with its customers to identify collaboration opportunities in what they intend to showcase.